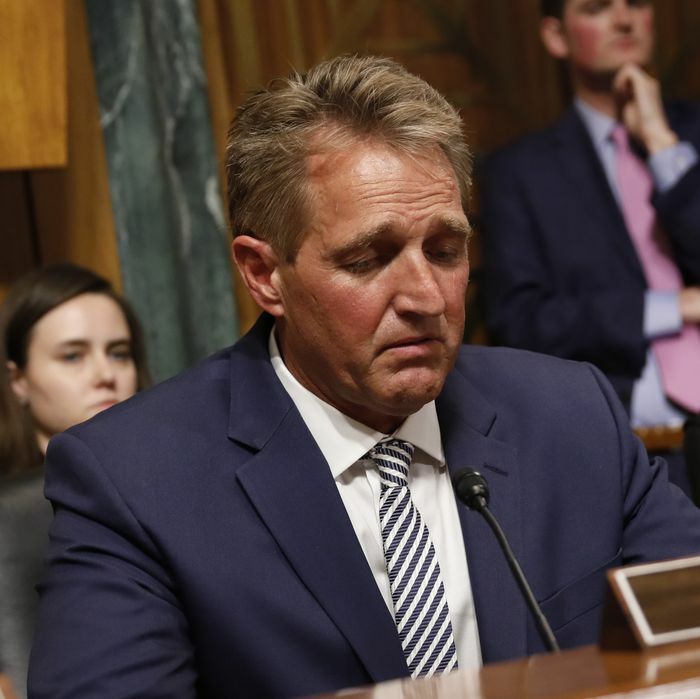 Much of the suspense surrounding today’s Senate Judiciary Committee vote on the Supreme Court confirmation of Brett Kavanaugh dissipated this morning when Republican senator Jeff Flake, the only really undecided GOP vote on the committee, announced in favor of Kavanaugh. But it returned when Senator Chuck Grassley delayed the committee’s vote amid speculation that something was going on involving discussions just outside the hearing room involving Flake and committee Democrats. There was some additional confusion as to whether Flake was offering an actual motion proposing a delay (he wasn’t), and after some crosstalk, Grassley called for a vote on the confirmation — it passed by a straight party-line 11–10 vote — and gaveled the session to an end even as ranking Democrat Dianne Feinstein audibly tried to clarify what had just happened. So it looks like a whole new ballgame.